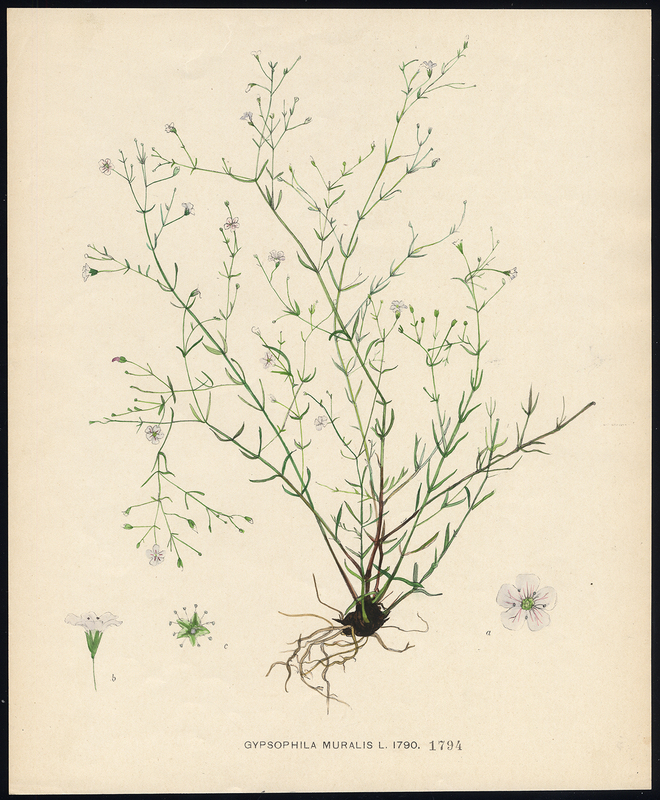 Subject: Antique print, titled: 'Gypsophila Muralis' - Annual Gypsophila, Cushion Baby's-breath, Low Baby's-breath. Condition: Excellent, given age. Remains of attachment to carrier to the rear of the sheet. General age-related toning and/or occasional minor defects from handling. Please study scan carefully. Medium: Colour lithograph on vellin paper. Size (in cm): The overall size is ca. 25 x 30.5 cm. The image size is ca. 25 x 30.5 cm. Size (in inch): The overall size is ca. 9.8 x 12 inch. The image size is ca. 9.8 x 12 inch. Description: From Kops, et al. "Flora Batava", an epic work of botany published between 1800 and 1934. Artists and Engravers: Made by 'J.C. Sepp' after an anonymous artist. Jan Christiaan Sepp (11 November 1739 - 29 November 1811) was an engraver, etcher and bookseller.